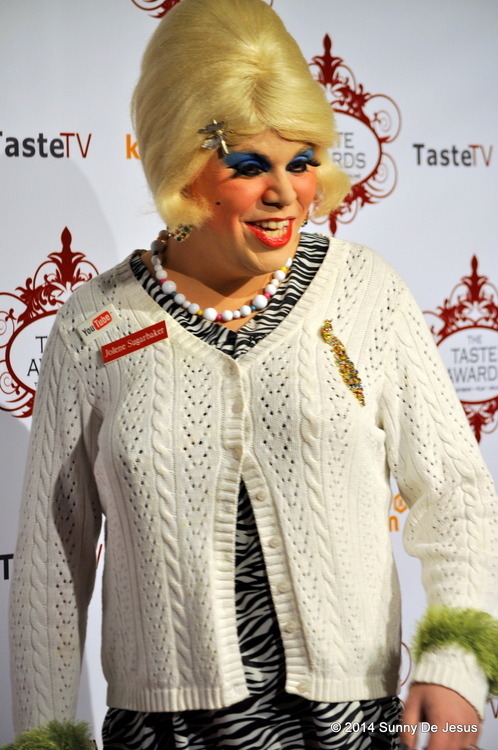 Last month, I was able to attend The 5th Annual Taste Awards in Hollywood that ceremony that celebrates our favorite television, internet, and radio programming in food, drink, fashion, and lifestyle. The Taste Awards is a lot like the Oscars Awards ceremony as it honors the Media winners. As one of the judges for the past four years, this past year’s list of nominees was certainly a hard one to judge. On the ballot, I saw a lot of my favorite food shows and there were so many great new nominees that also deserved to win too. One of my online favorites pictured above is Jolene Sugarbaker whowon a Taste Award for Best Comedy in the Food & Drink Category. Ms. Sugarbaker’s online show Jolene’s Trailer Park never ceases to keep me entertained. I just love her southern drawl, wit, and simple yet easy to make recipes. 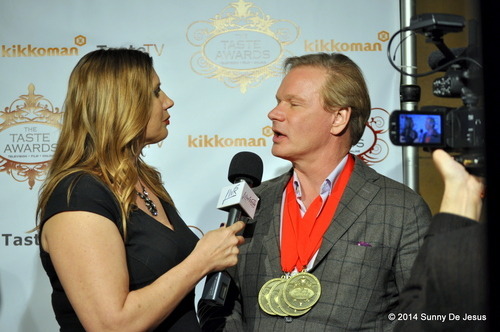 Like any other fan, I was so happy to meet my favorite TV Gardening, Food, and Lifestyle Host, P. Allen Smith. After a long evening of watching the awards show, I finally had my chance to meet him while he was in-between interviews. I asked if I could take a few photos of him and he then asked if I knew who he was. I humbly replied that I faithfully followed his show for years and watch it at least twice a week on television. He was so surprised that he took my hand and held it. I then congratulated him for winning four categories at the Taste Awards and mentioned that he actually won the most awards that evening. Now that ceremony has come and gone, there is another chance to catch it again next year. Hmmm, I wonder who will win next year? The Taste Awards is an annual awards show that celebrates food, drink, fashion, and lifestyle television, internet, and radio programs. For a complete list of the 5th Annual Taste Awards, click here.